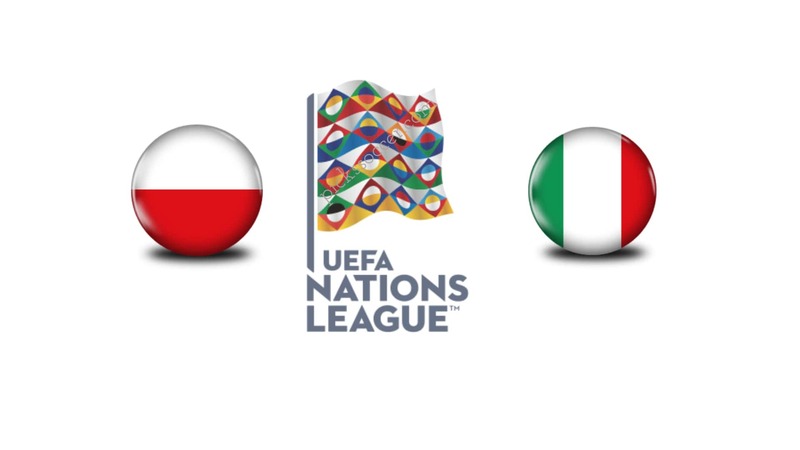 Clash of salvation in Group 3 of the UEFA Nations League League A in Chorzow between Poland and Italy, teams that have scored only one point in two races in the first leg in Bologna. The Italy of Roberto Mancini is back from a series of 5 consecutive games without a win, the last of which in Genoa against Ukraine in a friendly 1-1 with a network of Federico Bernardeschi, known worldwide for its strength defensive, takes goals from 8 consecutive races. A disturbing fact that has not occurred since 1959. At the Stadion Slaski will find a Poland that after the World Cup has not been able to win a game: the team led by coach Jerzy Brzeczek is back from the internal defeat for 2-3 against Portugal and the positive note is that the first goal was scored by Krszysztof Piatek (always him), the bomber of Genoa that between club and national season has already signed 14 goals in all 9 games played. Jakub Blaszczykowski the other Polish network. Italy got three draws for 1-1 and two losses in their last 5 games. Poland got two draws for 1-1 and a defeat in the 3 matches played after the World Cup. Italy has conceded goals in the last 8 races disputed. Poland in 5 of the last 6. There have been 7 Under 2.5 in the last 9 direct comparisons. We are aiming for the Goal in this challenge that could give the winner the salvation in the UEFA Nations League group. The Poles play at home and have that offensive terminal named Krszysztof Piatek who is turning everything he touches into gold. The Azzurri will have to try at least to repeat the good first half seen in Genoa against Ukraine.